Last Wednesday, we celebrated International Day of the Girl Child. All around the world, girls live with varying degrees of inequality. Peace Corps volunteers try combat this inequality in various ways. One of the Peace Corps initiatives supporting girls’ empowerment is Girls Leading Our World (GLOW), which are community or school based clubs with curriculums on issues surrounding girls’ empowerment. Today, I’d like to highlight a fellow Swaziland PCV who took girls’ empowerment to new levels. 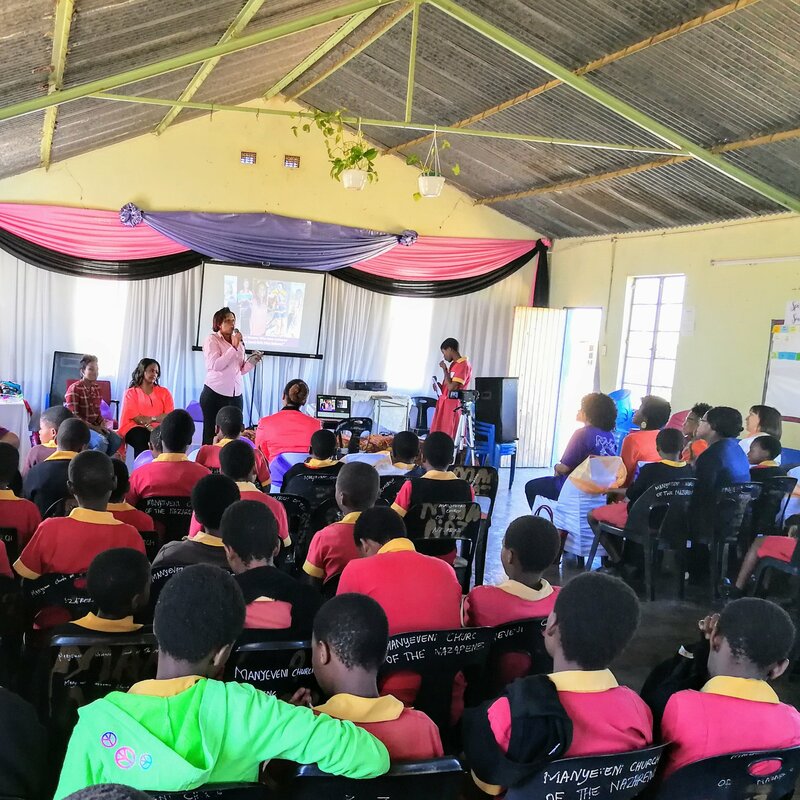 Dawnita organized and hosted the inaugural Swazi Girls Believe conference to celebrate International Day of the Girl Child. More than 90 girls from a primary school in her community took part in the day’s activities. The activities included a reflection exercise on mind, body, and soul well-being, as well as panel discussions and other speakers. There was a photo booth and giveaways. The day ended with a hands-on workshop teaching the girls how to make reusable menstrual pads. The girls enjoyed themselves. Knowledge and wisdom was shared, and hopefully the girls feel more empowered because Swazi girls who believe are those who achieve. Congratulations Dawnita! The picture above was taken during the panel discussion.